Recently, one of my blog readers mailed me on this issue. Uploading images to your posts could be difficult keeping the both hosting and bandwidth limitations in mind. Being Blogger users you have the ability to upload unlimited images to the safe servers of Google that are almost up most of the time. This gives you the certain satisfaction that that your images are not going down at any point of time. 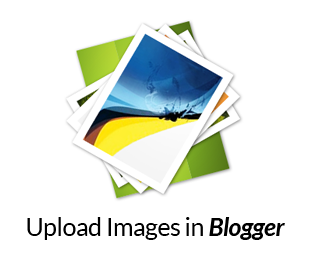 In this article, i will show you How to upload Images to Posts in Blogger. How can I Upload Images to My Posts in Blogger? Read How to create new post to your blog. 3. Click on the orange pencil button present just beside the title of your blog. Now, upon clicking, you will be taken to a new page that is basically called “Blogger Post Editor” which let you upload images, write your blog posts, change permalinks and other useful things related to your posts. 4. Now click on “upload image icon” located on the task bar in the post editor. For your help, we have attached a screenshot below just in case some beginners are unable to find the option. 5. Now press “choose file” button located on the top and select any image that you want to upload in your blog posts, it could be in any format. However, i will recommend you to upload images in PNG format for best picture quality. 6. Once images are completely uploaded, press “Add Selected” button located at the bottom and that’s all. This is how you can upload or insert images in your blogger blog without caring about bandwidth limitations. Keep in mind that the images you upload in your blogger account is linked with your Picasa account so you can also access them from there too. Am quite sure this short tutorial would help you in learning how to upload images to posts in blogger. If anyone fined any difficulty then don't be shy to make use of the comment box below.